BANKEX, a leading global fintech company, announced that its token has been listed on HitBTC. 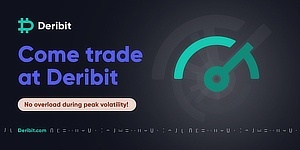 HitBTC, founded in 2013, is a cryptocurrency exchange that is consistently ranked in the top 10 by trading volume. This adds to the already large array of platforms where BKX, BANKEX’s Ethereum-based ERC-20 utility token, can be bought or exchanged. After successful listings on Bittrex, UpBit, CoinSwitch, and Changelly, BKX, an Ethereum-based ERC-20 utility token, is now available on HitBTC. This makes it available for instant and seamless exchange with over 300 altcoins on the platform. The BKX utility token is used for payment within the BANKEX STO Framework, which includes Custody Service, BANKEX Token Exchange, Ethereum Plasma Prime, Supply Chain, and Digital Deal. The listing of BKX on top trading services, including HitBTC, streamlines user access to these products. BANKEX has reached several strategic milestones with BKX. The token was first listed on the Hong-Kong-based OKEX, one of the largest cryptocurrency exchanges in the world. OKEX is not open to US customers, which made listing on it a strategic move toward compliance with US SEC guidelines regarding pursuit of American customers immediately post-tokensale. Americans citizens who did participate in the tokensale had their funds returned in full. Being in compliance with US SEC guidelines enabled BKX’s listing on Bittrex, the seventh-largest cryptocurrency exchange worldwide, six months later. These listings, along with the constant development and release of new products and services, demonstrated that BANKEX is capable of stable growth and gave confidence to current and future clients. BKX, the utility token that powers all BANKEX services, can be bought or exchanged bought using credit/debit cards on Changelly, and traded on Bittrex, CoinSwitch, OKEX, the leading South Korean exchange UpBit, Jaxx Liberty, Freewallet, and now, HitBTC. HitBTC is one of the world’s most advanced cryptocurrency exchanges, with no limits for deposit or withdrawal. 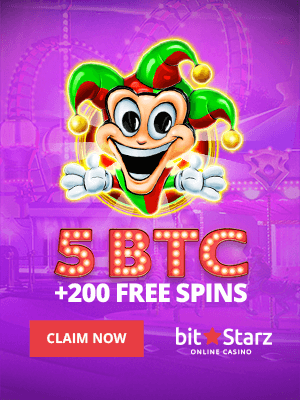 Since 2013, HitBTC has provided an exchange market for Bitcoin, Ethereum, Litecoin, Dogecoin, Monero, USDT, and more than 300 cryptocurrencies in total. The platform has earned its reputation for fault-tolerance, flawless uptime, and high availability. Its core matching engine is among the best products in its class, offering traders a wide range of features, such as real-time clearing and cutting-edge order matching algorithms.